This should be a treat to PCSX2 (PC Playstation 2 Emulator) users, upon loading this demo, it instead loads the THPS4 DEV BETA, because it thinks PCSX2 is a PS2 TOOL (Dev Kit)! I ripped the demo, rebuilt as an .ISO, tested in PCSX2 and it is fully functional, and in all it's original glory with early textures, logos, etc. The BETA itself includes Practice and College, and the main menu is fully scrollable with nothing blocked out, including Network Play. The total size = ~213MB. Last edited by TNT on Mon Jun 11, 2018 7:26 pm, edited 11 times in total. This is pretty cool, i havent seen that logo before! [UPDATE] Since I've had time to play with it at full speed, and the menu options, it turns out this DEMO is actually the DEVELOPERS VERSION. MANY pause menu options added by default, including Debug Menu, changing gamemodes (career, freeskate, freeskate 2p, host a server) from in-game. Also shows really cool floating heads in the head menu! Yeah I just played through this on PCSX2 and noticed the stuff. I know PlanetTonyHawk had a write up on this demo a long time ago, but this was the first time I was able to try it. I noticed the scaling sizes you mentioned are still in the scripts in the full game, but was scrapped at some point. There is actually a very identical demo to this I used to have on a PS2 Jampack disc where most of the functionality was the same, but it had a small mainmenu (the one in startup.q) and it just had college. quazz wrote: There is actually a very identical demo to this I used to have on a PS2 Jampack disc where most of the functionality was the same, but it had a small mainmenu (the one in startup.q) and it just had college. 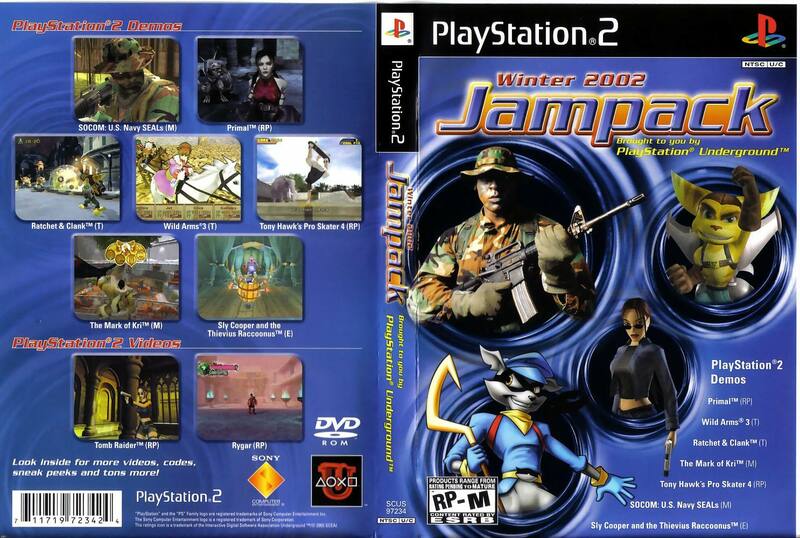 That was Jampack Winter 2002, I had a stack of Jampack disks myself, but I must have missed this one. I just ordered the disk and I will rip/rebuild/upload when it arrives. The one I posted came from the Kelly Slater game, released on September 17, 2002, and the Jampack came out Oct 17, 2002. Maybe they used that extra exact month to clean up all the Dev stuff they left in the Slater version. With all that being said, I think it's safe to relabel this as the Beta, and the Jampack version as the actual Demo. I would love to hop in a time machine and go back and play the beta online, ha. played a bit as well, pretty cool. some th3 content leftovers, lack of trick extensions. btw there are .geom.ps2 files in wad for every level, but the rest seems to be cut off though. maybe drop a link in the lediris' thread? I found a screen of the Jampack demo main menu, and the logo was redesigned by then, so this logo is exclusive to this version. What thread are you talking about Demo? That's not a screenshot of the Jampack PS2 demo. That's a screen of the PC demo. You can see it has a "Quit" mainmenu item, plus in the helper text it has the PC button key icon O = Accept.